Running Facebook Ads has proven to be one of the best forms of paid marketing for dropshipping. It allows you to test numerous ad sets and products at the same, and compare the results to see what’s working and what’s not for effective optimization. Unfortunately, many new dropshippers are under the impression that simply running an ad is enough to warrant a sale. If you run an ad for a necklace to everyone who likes jewelry, there’s a good chance you’re not going find success. To run successful Facebook Ads, you need to run good ads to the right people. From my experiences, most dropshippers have a good handle on the ad and it’s copy, but have a difficult time when it comes to finding and creating their audiences. It’s important to set aside personal viewpoint when it comes to building your ideal customer. 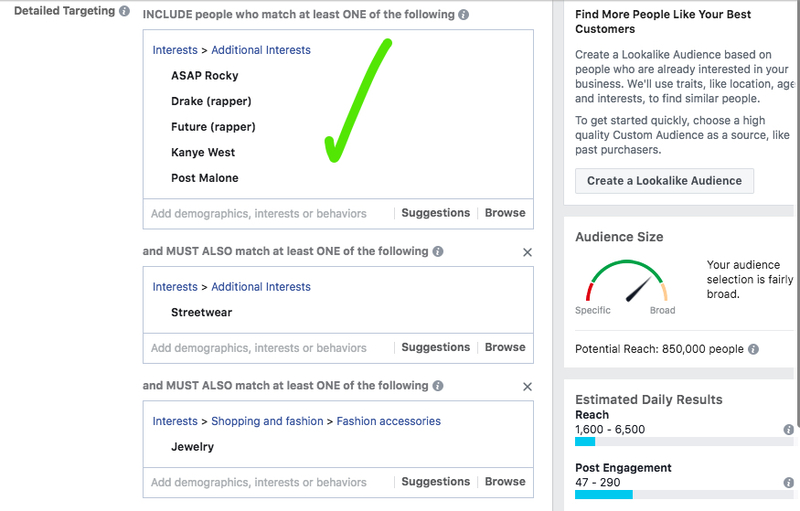 Be objective and use tools like Facebook Audience Insights and Google Trends to actually learn about what your audience is like rather than what you think they’re like. Here’s some questions to hack your audience quick! What are some of the influencers they follow? Where are they located? What countries and regions? What are their related interests? If you can make as many separate ad sets as possible, you can run the ads alongside each other to do effective testing. After a week, you can see what’s working and what’s not based on Facebook’s Relevance Score. Cut what’s not working and invest more in the audiends that are returning positive results. Here’s an example from a previous dropshipping store I was running. I was selling this necklace in a men’s store. Initially, my ads were not resulting in any sales. I was sitting and trying to find any word related to jewelry or men’s jewelry to use. I needed to start following my own advice and actually using the tools listed to find out facts about my audience. I built separate ad sets for each of the questions I listed above. Afterwards, I found the most success with my influencer’s ad set! Here’s the adset that ended up resulting in sales after doing audience research based on the questions above rather than my own presumptions. I hope this example shows you just how much you need to get to know your audience. If you’re having trouble, don’t get frustrated, use all the free tools available! Imagine you were sitting with them at a coffee shop and getting to know them. Good research will result in good ads and ultimately, sales! What are some of the questions you try to answer when building your audiences? I’d love to hear your process and what worked or didn’t. Hello! Which of these Target Audience is right? Why when we sell a necklace we have to choose - Drake, Kanye WEst ASAP..? Thanks for the question, I'd be happy to clear it up. The first audience was not resulting in conversions. This audience was the one that included really general interests that pooled to over 34 million people. It was too big and general and resulted in no sales for my store. Then, I did some research and filled out the 6 questions above to get to know my audience better. I grouped my answers together and created ad sets on unique interests specific to that question. One of those ad sets answered the question: "What are some of the influencers they follow?" This is the audience targeting you see in the second screenshot that resulted in sales for my store! You need to get to know and understand your target customer. 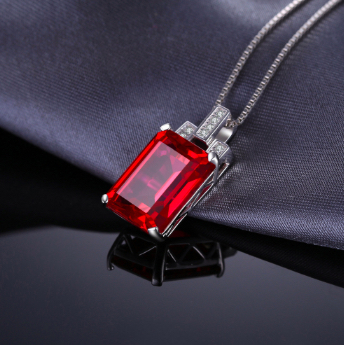 Do you think a teen boy is sitting at home looking up jewelry out of the blue? Most likely not. However, they are watching music videos and browsing Instagram where they are following these influencers. When they see Post Malone wearing jewelry, then they will notice your ad selling that necklace and consider buying it. However, this worked for my target audience. Everybody is different, and that's why you need to get to know them through the questions above. Don't assume, use the tools to find the facts! Hope that helps. Let me know if you have any other questions.